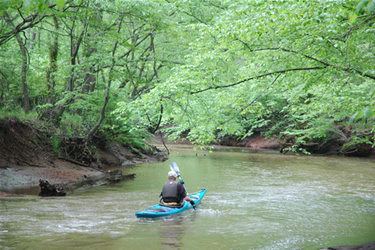 Over 481 acres along the Manasquan River have been acquired by the Park System and are now protected in their natural state. This preserved open space provides river access for fishermen and boaters with canoes and other small watercrafts. Please be aware that navigating sections of the river may be challenging and/or require numerous portages due to natural obstructions and fluctuating water levels. Route 9 to Route 524 East. Follow approximately 6 miles to intersections with Southard Avenue. Turn right and follow Southard Avenue 2 miles. Parking lot is on right. Route 9 to Route 524 East. Follow approximately 4 miles. Turn right onto West Farms Road. Continue approximately 2 miles. Parking lot is on left. Route 9 to Route 524 East. Follow approximately 3 miles. Turn right onto Ketcham Road. Continue 1/2 mile. Parking lot is on right. Route 9 to Route 524 East. Follow approximately 2 miles. Turn right onto Haven Bridge Road. Continue 1 miles. Parking lot is on right. Click on map to open as PDF.